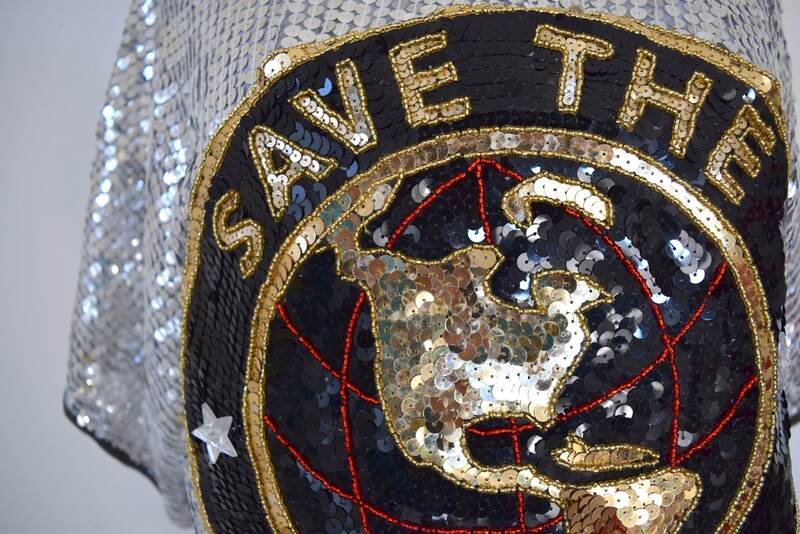 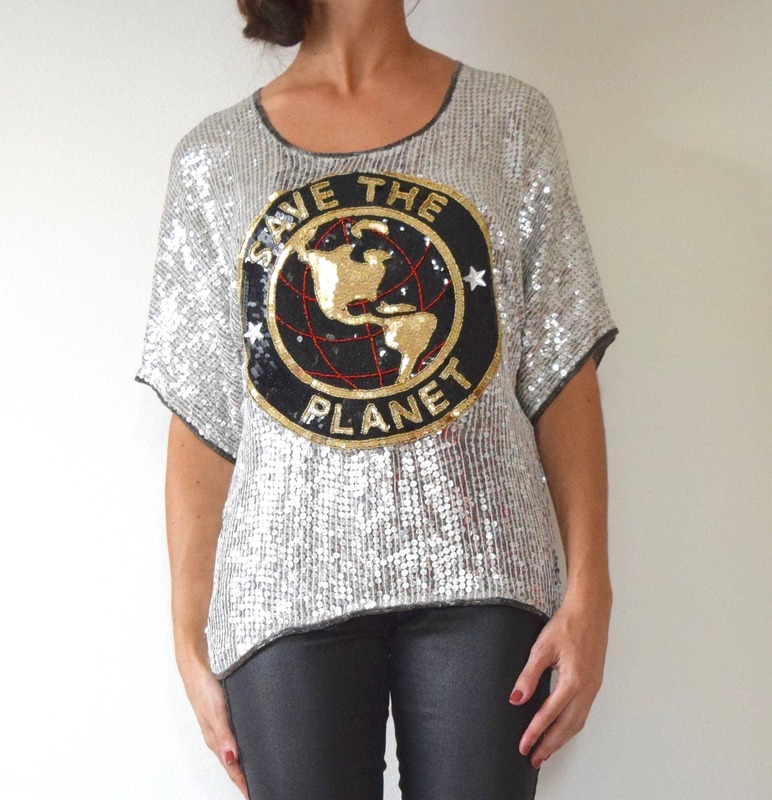 Silver sequined and beaded silk blouse with a large sequined "Save the Planet" applique on the front. 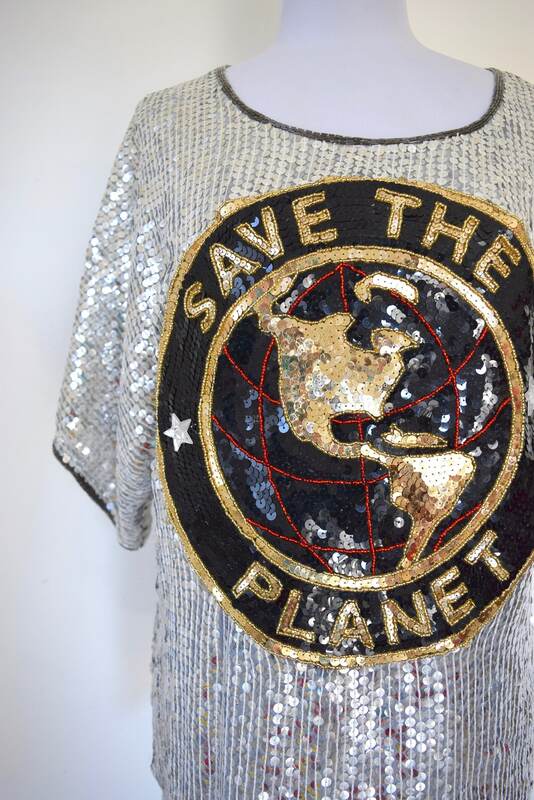 A one-of-a-kind Little Light original! 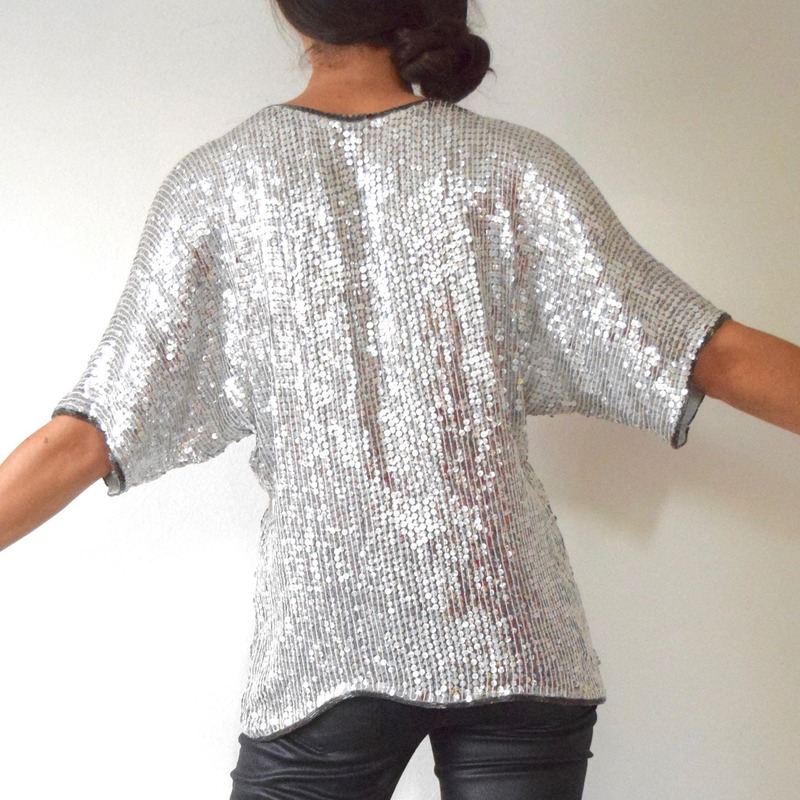 Length from sleeve to neckline: 13.5"